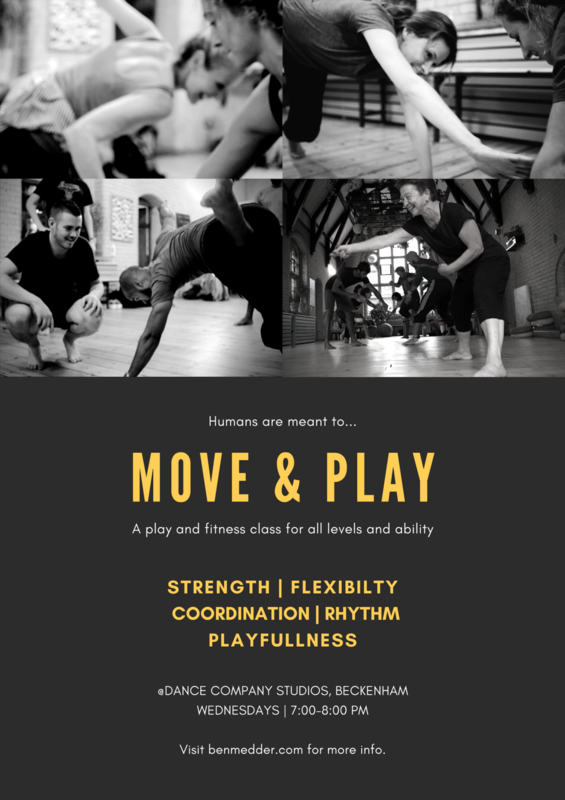 The classes incorporate general movement training, body strength weight training, mobility development exercises, partnering tasks, playfulness, and creativity. Expect to crawl. run, jump, climb, dance, wrestle, lift, throw and generally rough and tumble. The atmosphere in the sessions is welcoming, and the content is delivered in an inclusive and easy going manner, but it is also vigorous and challenging at times in the best possible way. What many discover is that you hardly notice the intensity as it will feel like play. Expect to feel good, happy, and flexibly strong!